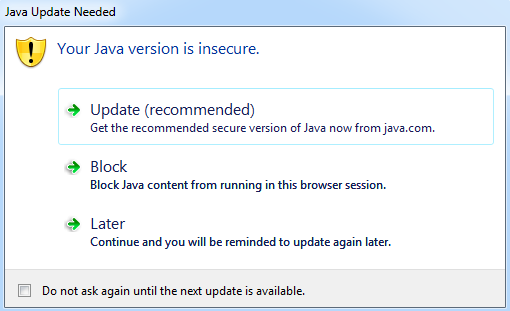 Visiting a website with Java enabled application you may see the warning as showing in screenshot. 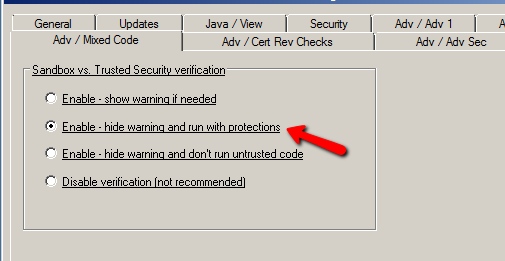 Select option “Enable – hide warning and run with protection” under “Sandbox vs. Trusted Security verification”. The setting placement may vary depending on the version of Java Pak you are using.